On a hot July afternoon I waited until the church clock struck 4pm. I remember I stood next to that old wall made of uneven yellow stones and each stone was very hot. Everything around me was hot from the sun and I just waited there and listened to music with the headphones in my ears. I did not want to think, I was nervous. When the church clock and then the church bells announced 4pm I walked up the narrow stairs adjacent to the wall and rang the doorbell. After a long silence a priest dressed in black opened the door. I walked inside the room where the air was cold. “I am here to see the priest,” I said. He fixed his eyes on mine and the silence became even deeper and I could feel the texture of the wooden table under my hands. And my fingers became cold and I did not move. And I told him a story of love. I told him that I was in love with a man who was Catholic and believed in God. And I was not Catholic and did not know if I believed in any God or religion. And that I thought that if I would become Catholic I could probably see the things that he sees and have a new perspective on things, and love differently. And be loved. And then the silence and the cold air inside the room became unbearable. And we looked at each other. May be five minutes have passed. And then the priest spoke. He talked for a little bit longer, but I could not concentrate and I did not remember his words. I felt calm only when I was outside walking fast up the street. It was hot again and the sun was burning my skin. It was the summer of 1999. 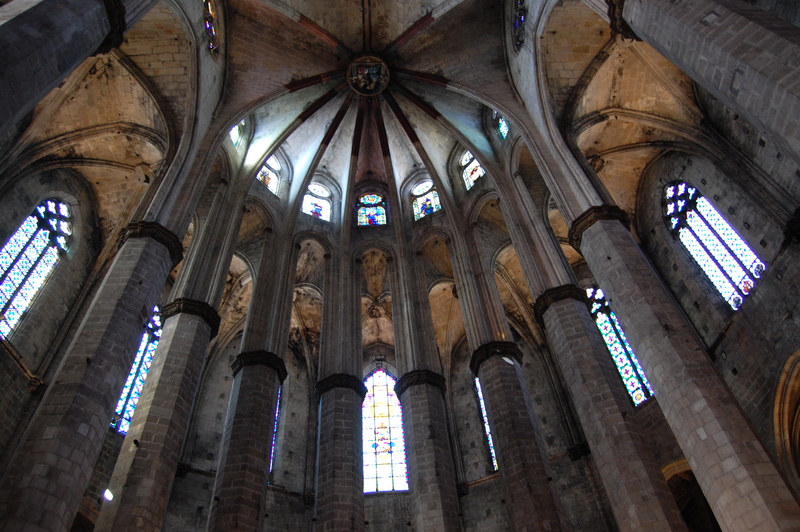 The priest was the priest of Santa Maria del Mar church. And I was 21 then. 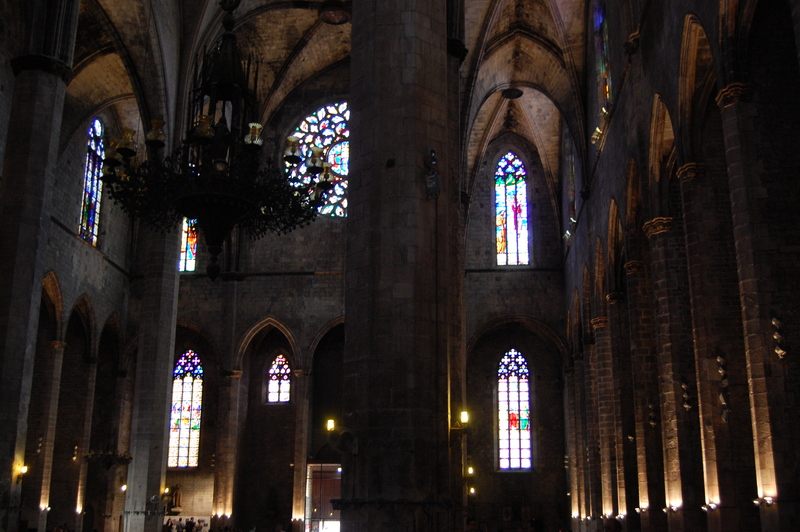 The Santa Maria del Mar church was full of tourists. I stood there and watched how all of them were buying church candles and lightening them. I stood in the middle of the crowd and looked up for a while. There is silence when you look up. I hesitated if I should get a candle too. Then I walked outside. I stood on the church steps and looked at the people passing in front of me. Since the first time I crossed this church entrance in 1999 I got attached to it. Apart from sharing the name, I loved that this is the church where wives, lovers, and daughters of the sailors came to pray for the men who were in the open sea. I thought that I would also light a candle for somebody who is on a mission. Every time I left this city I became one of those sailors too. I stood on the steps thinking all this, and thinking about all the moments I spent inside this church. Never like a passer by. I crossed its doors when I felt down, sometimes in despair, sometimes full of resolution, once with the tears in my eyes. I never came here on purpose either but found myself to be nearby when I need it the most. And then I always found strength to go forward. I went back inside the church. I got a candle and walked along all the saints and looked at them. And then I saw one who was not suffering. She stood with her head high and with two little angels around her. It said Santa Maria Cap de la Cort (Santa Maria the head of the court). I lighted a candle there, watched the flame for a second, and left the church. 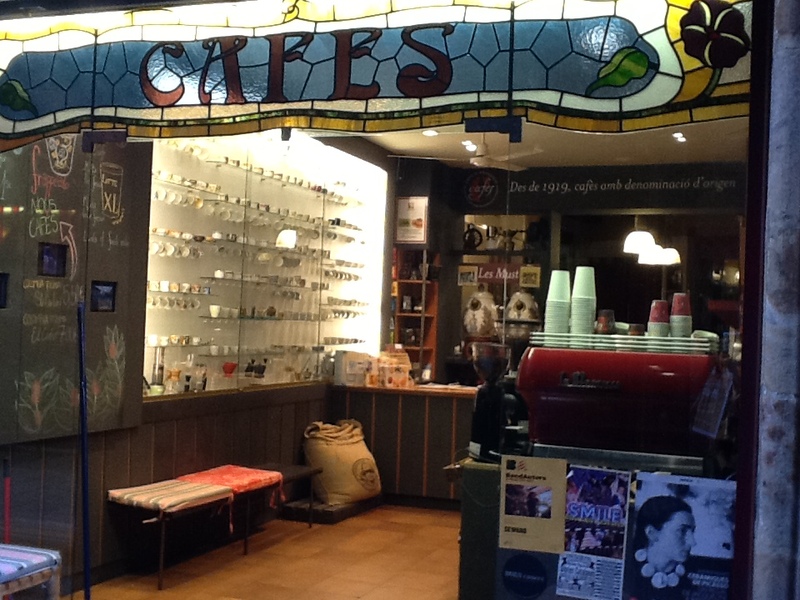 Living in Barcelona and loving good coffee you end up discovering the best places to enjoy it. Xavier, the owner of the Doctor Coffee, my regular stop for morning coffee and newspaper, recommended me to try El Magnifico. And I did. I went to El Magnifico for the first time couple of weeks ago. 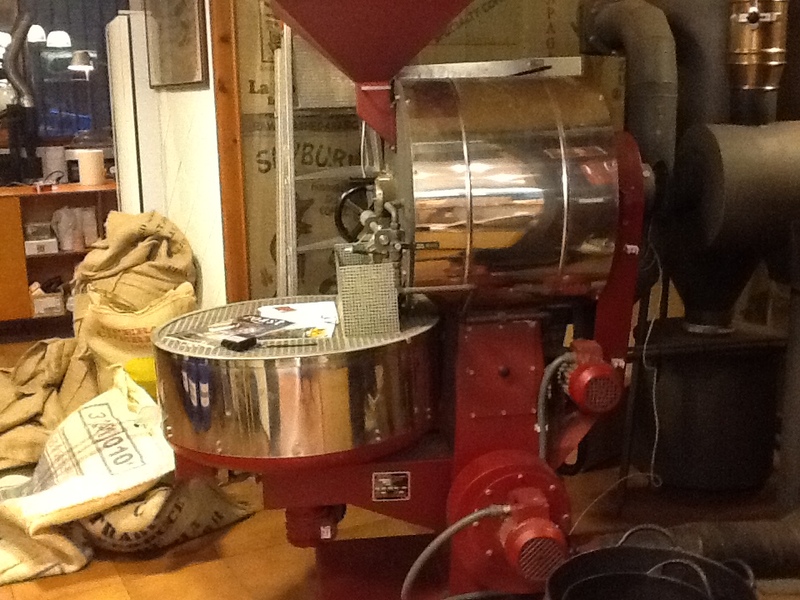 It turned out to be one of the few coffee-roasters in Barcelona, as most places that sell coffee are distributors and do not roast the beans themselves. El Magnifico does. 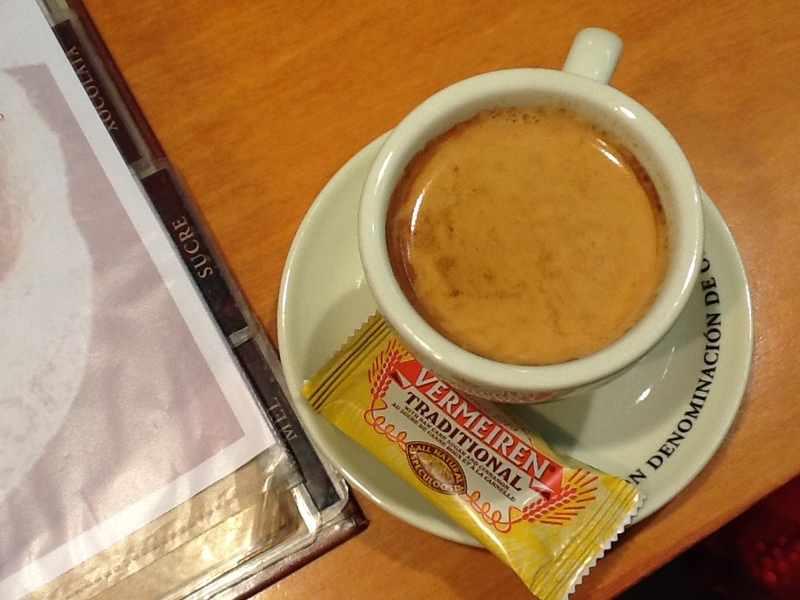 The coffee at El Magnifico smells magically and it tastes even better. It is comparable to the coffee at Verve in Santa Cruz, CA. The place is very small, and it does not have tables, which is unusual for Spain. However it offers couple of benches to those who prefer to enjoy their drink in the real ceramic coffee cup. I tried it both ways, in ceramic and in paper versions. This morning it was paper and the coffee tasted as good as ever. 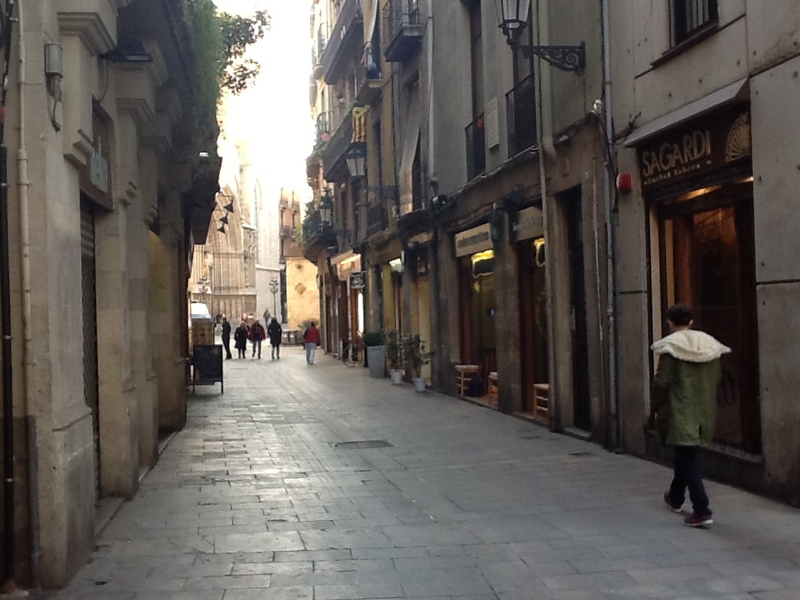 Walking through the narrow streets of Barcelona with the morning coffee in your right hand is empowering. It means that you will accomplish what you have proposed for that day. It also makes you smile. 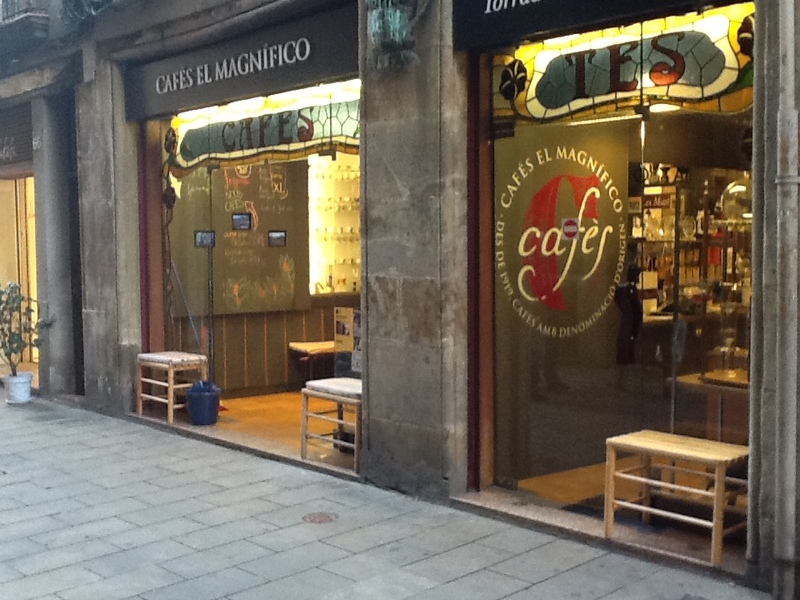 The cafe is located in the Born neighbor, very close to the church of Santa Maria del Mar. First time I visited the cafe I was surprised to discover that my favorite church was only thirty feet away from where I paid for my coffee. 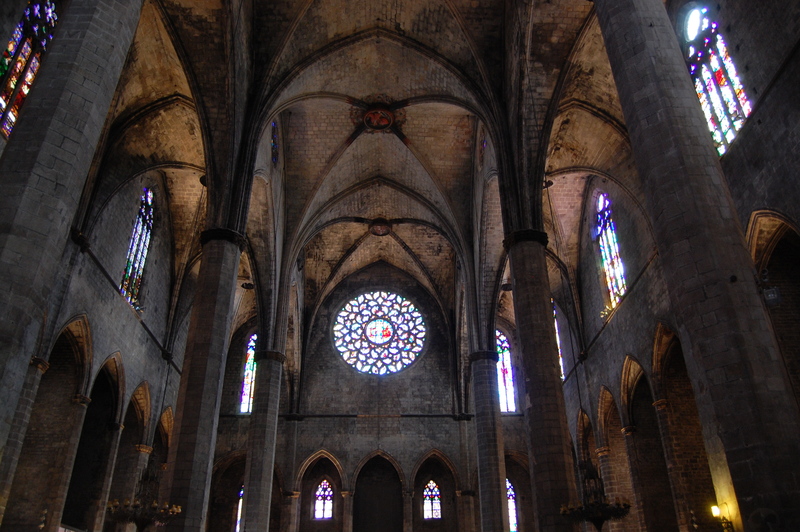 For me, Santa Maria del Mar is the most beautiful church in Barcelona, and it played an interesting role in my life during my student years. Not being of any religion at all, and in my desire to change and to be a better person, I decided to become a Catholic. Crazy, I know. 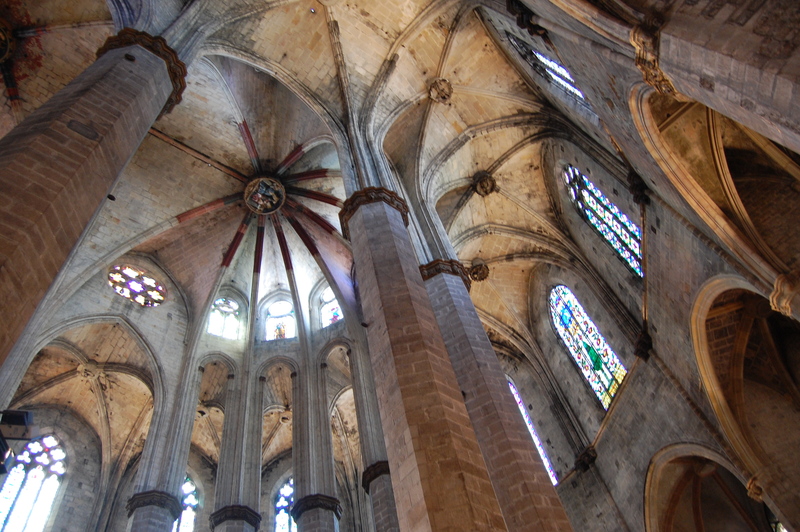 However, the priest of Santa Maria del Mar was able to talk me out of it. He gently told me that he believed, that I would be fine and would follow my path independently of the religion I undertook. I am thankful to him even now for his wiseness. Then I was young, and this was many years ago. Time have passed. Living in USA and in Norway, and being always fairly busy, I got to forget about that church. I have not been there in the past ten years. Thus, three weeks ago, holding in my hand the cup with the best coffee in Barcelona, I felt certain enchantment walking against the light towards Santa Maria del Mar. When I entered the church the bell rung five times. Five o’clock. And the lights were turned on. At the cafe next to the church I was meeting an old college friend. When the coffee is good the conversation is good too. Both require art, passion and involvement. Life in these simple terms.